There’s no getting around it, so all you can do is to embrace it, and engage with your resisters. But how can you do so positively, and increase your chances of a successful transition? That’s the reason I developed my Onion Model of Resistance, which I started working on back in the 1990s. It helps us to understand the nature of the resistance we encounter and leads us towards effective strategies. What we find is that, as we uncover a layer of resistance, there is often another layer beneath it.ï¿½ Each layer is psychologically deeper, it is emotionally hotter, and it is harder to deal with. This means I need to use a harmonious approach that does not clash with them nor seek to put them down. Our instinctive approaches, to blame, bully, plead, fight, do deals or lie, do not work- or, if they do, are not sustainable. In my talk – and in the book – I listed a dozen or so techniques, inspired by the principles of Aikido, a Japanese martial art, sometimes called the ‘way of peace’, or ‘the way of harmony’. Resistance is part of the process. It is inevitable. Don’t fear it: embrace it. There is always a reason for the resistance you get. and you can deal with it. 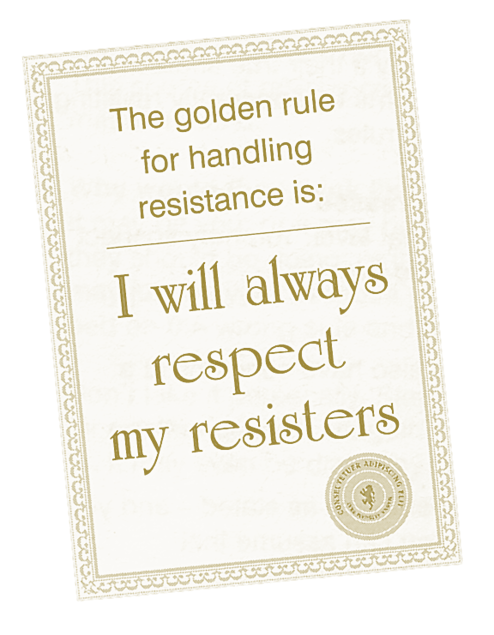 Above all, always respect your resisters. all in the Handling Resistance Pocketbook. …take a look at this earlier blog, on Handling Sales Objections. Great article. Something we all need to remember. Great article. I especially like your 5 Layers of Resistance model. Also, your Golden Rule cannot be overstated since it’s human nature for us to go into defense mode when people resist good ideas (and it’s very common). 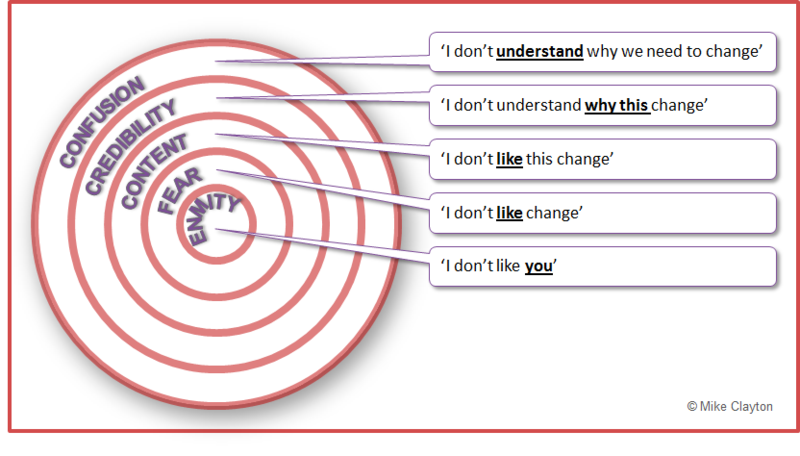 Incidentally, I wrote a similar blog post on Strategies for Resisting Change recently, which you might enjoy.